On the last day, I visited my Sīfú 師父, Ip Chun’s 葉準, class found the room was quite full. There was a group of students from China. 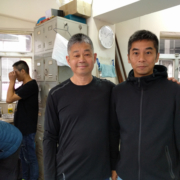 Sīfú told me he had just finished teaching a course in Foshan, China and had just come back to Hong Kong. The course started at the very beginning and he gave an introduction. 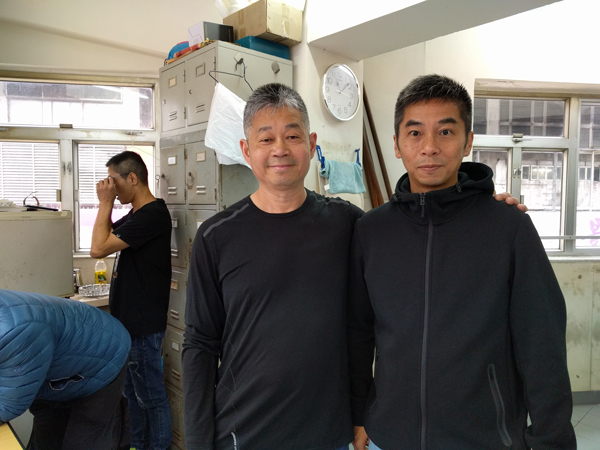 Then the course continued being taught by some his senior instructors like Leung Chong Wai 梁忠威 and Sīfú’s eldest son Ip Kwong Chiu 葉廣超. The course lasted one week. Some of the students studied Siu Lim Tao 小念頭, some studied Tsum Kìuh 尋橋, some studied Bīu Zī 標指 and some studied some of the Wooden Dummy (Muhk Yàhn Jōng 木人樁). They followed the syllabus, so the first time they attended the course they started with Siu Lim Tao, the next time Tsum Kìuh, the next time Bīu Zī and then finally the Wooden Dummy. The course lasted only one week and the students had to learn as much as they could in that week. Although every instructor will teach slightly differently, the shape and the principles are the same. In the end the students needed to come to Hong Kong to be tested by Grandmaster Ip Chun. So this group of students had come to be tested and so they had been studying really hard! Of course in a week they cannot reach a high level, but they can reach a standard that Sīfú is happy about. So they had to practise at home and if they wanted to continue they had to wait until the next course.